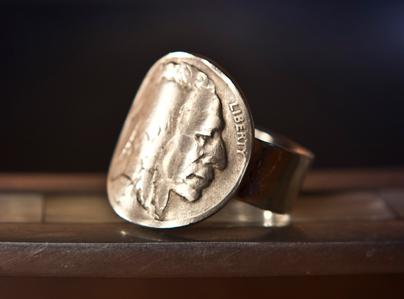 Buffalo nickels on niobium wires. 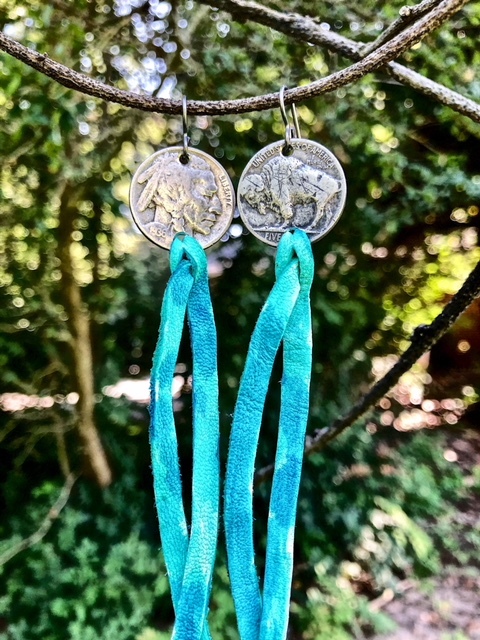 4″ deerskin lace. 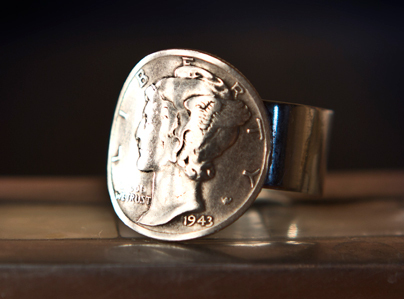 Mercury dime on sterling silver band. 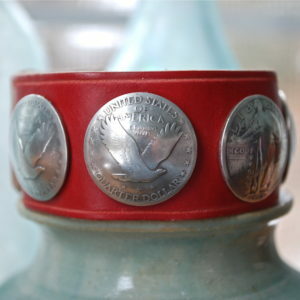 Leather cuff is 1.25 inches in width with 5 silver Standing Liberty American quarters. 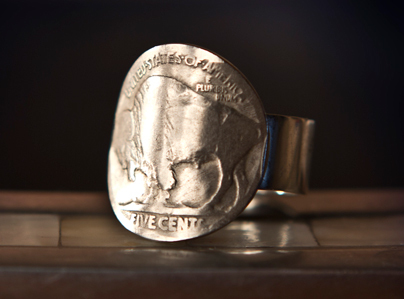 Buffalo nickel on sterling silver band.